Use the sliders to adjust the angle of the incline, and the two masses. Hit the "Run" button to watch the objects accelerate. 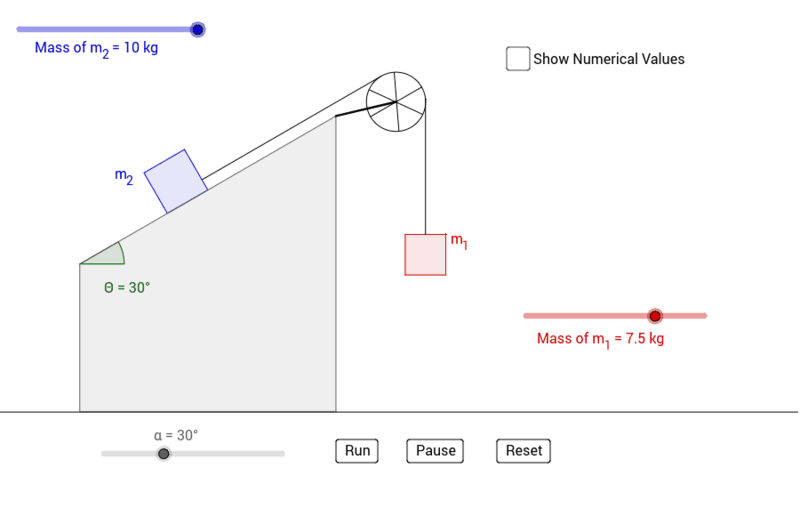 Click the checkbox to show numerical values for acceleration, tension in the string, velocity, time, and the change in height of m1.